The Global Market Watch (GMW) is PURELY an alert system. It is not intended to be a trading tool. It is simply an alert to allow you to see the entire world collectively and is only a pattern recognition model EXCLUSIVELY The last entry is dynamic and it will change during the course of that period (weekly to yearly) until it is final with the close of that period. It merely reflects what the pattern would be if the week to year had closed that day. We never buy or sell on this model since it is ONLY an alert and thus a confirming tool. Reversals and Arrays are the only forecasting methods that provide price and time. Th GMW is just an alert which is better on some more developed markets than less traded instruments. 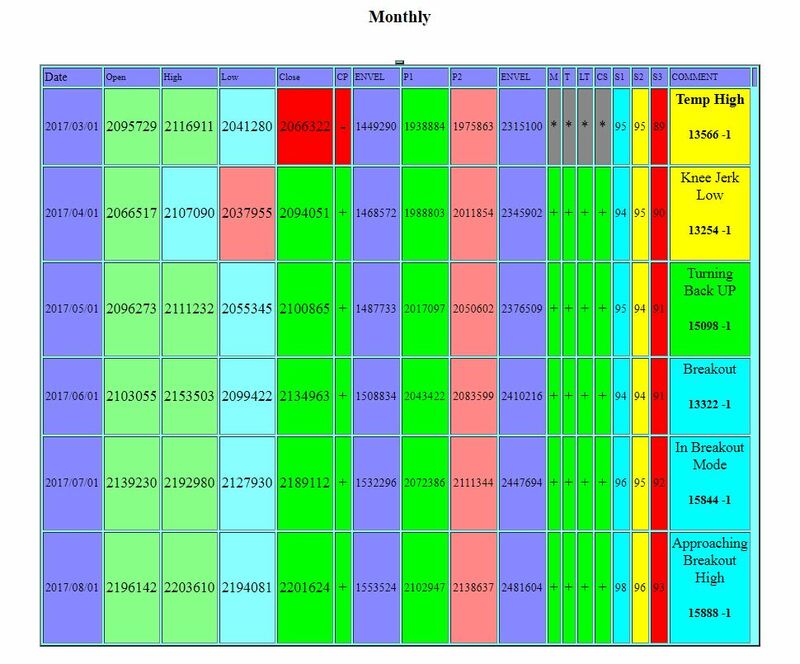 It is also more reliable on the higher monthly time levels up to yearly for there the patterns are less complicated. One the daily level, what is astonishing has been that this is an AI system which is constantly learning and has therefore identified more than 50,000 patterns so far. The mere fact that there are so many patterns that it has identified demonstrates the complexity of markets and how impossible it is for a human to actually forecast a market consistently. I have always found the long-term term easier to see than the short-term.